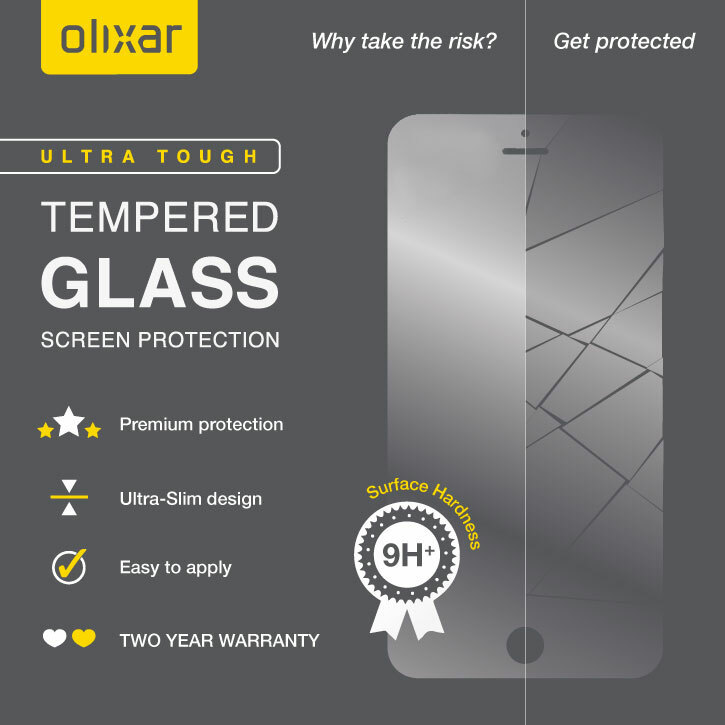 This ultra-thin full cover tempered glass screen protector for the iPhone 8 Plus from Olixar offers toughness, high visibility and sensitivity all in one package. 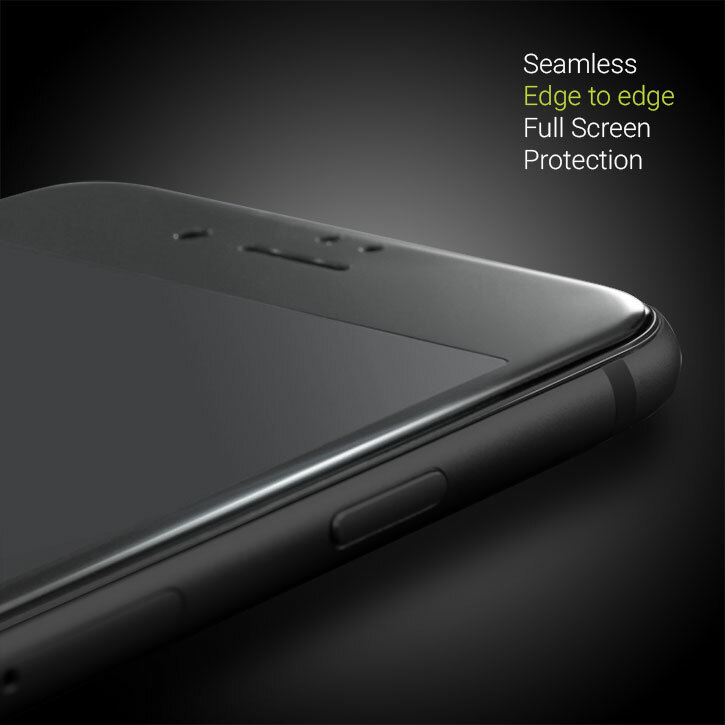 Features complete edge to edge screen protection for black phones. This is a quality product, fitted perfectly over the phone screen first time and without any issues or bubbles. Just follow the clear instructions supplied in the box. Hi this screensaver is very good, and fits like a glove, great product and service from mobile fun. This ingenious solution to protecting your iPhone 8 Plus's screen involves a 0.3mm thick tempered glass protector that covers even the edges of the curved screen. 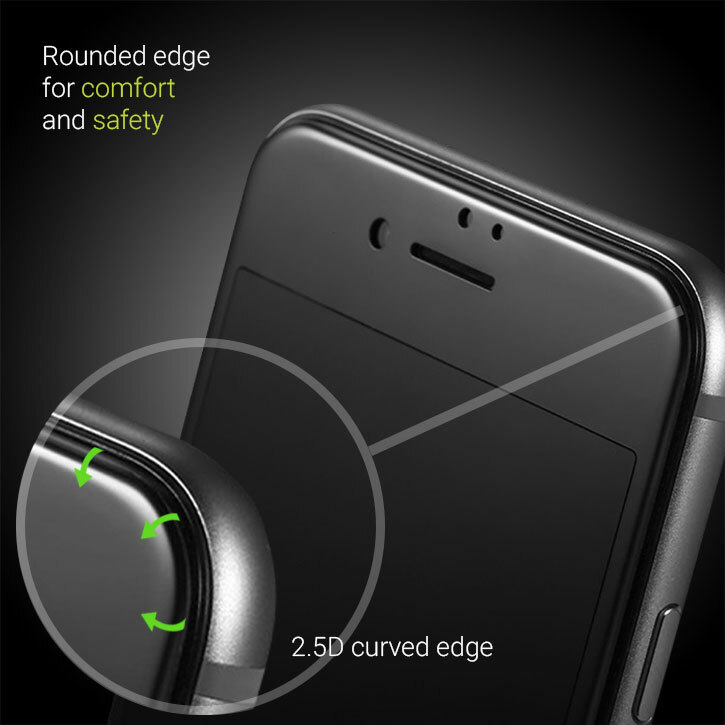 The underside of the screen protector sits flat on the screen and matches the contours of your phone's screen perfectly. This covers the entire screen and offers complete protection. 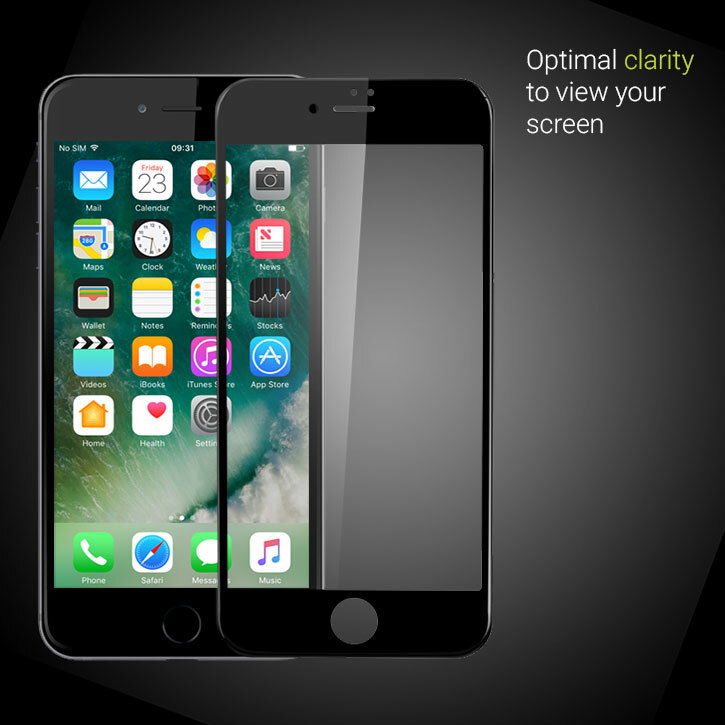 Crafted with tempered glass technology inside, the Olixar Tempered Glass Screen Protector for the iPhone 8 Plus provides you with a shatterproof design that guards your precious display from accidental bangs and drops. 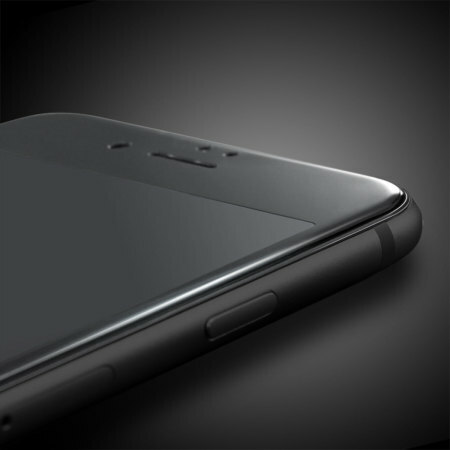 Despite offering great screen protection for your iPhone 8 Plus, the glass is only 0.3mm thick. This means it only adds an almost imperceptible amount of extra thickness to your phone, so you can be sure it is safe from harm while looking as good as new. 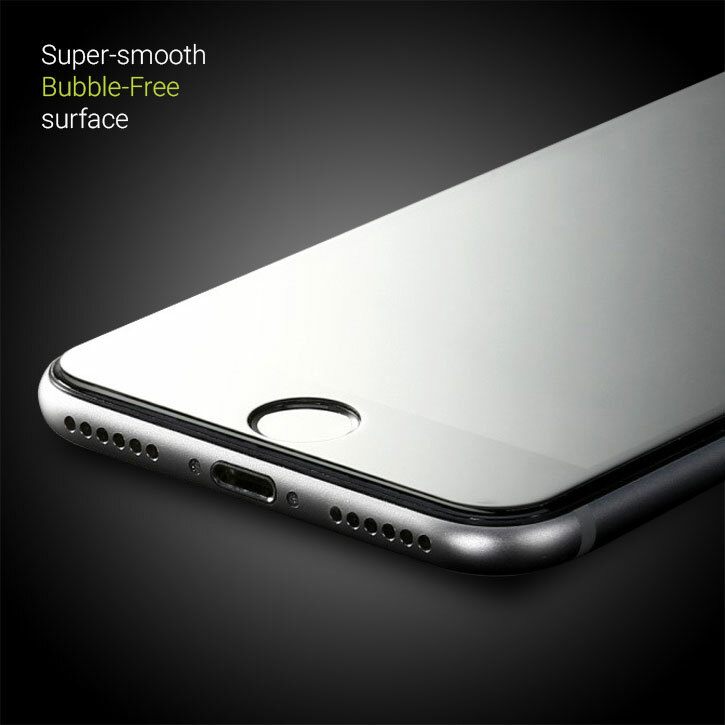 Designed specifically for the iPhone 8 Plus, the Olixar tempered glass screen protector offers a protective fit for your device.